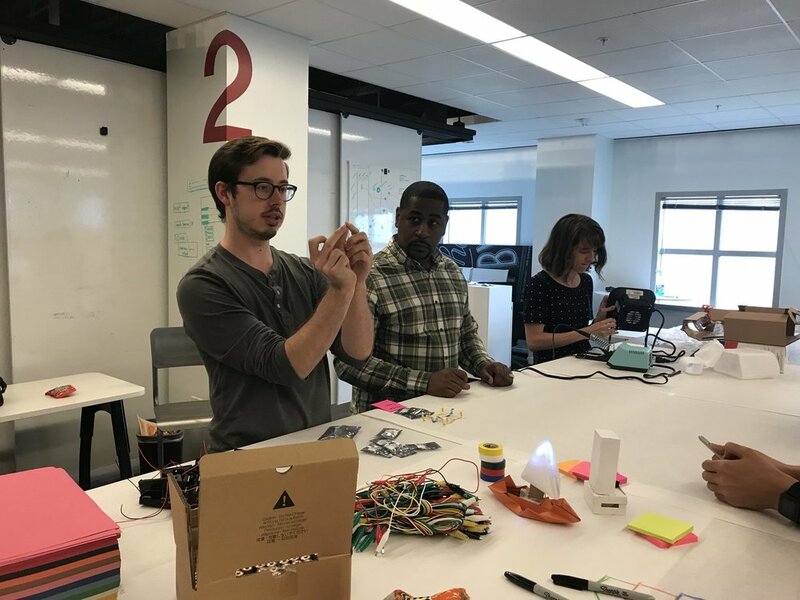 Hack Hours brings circuit making and Internet of Things experimentation to IBM studios to promote maker culture and the merging of design and technology. Prior to Hack Hours, Maker Culture at IBM Design consisted mainly of screenprinting and other graphic-design related crafts. This left out the part of the IBM community who desired opportunities to make outside of the print design craft. Hack Hours was launched by fellow designer Kathryn McElroy and me to open up the prototyping possibilities. Hack Hours is about testing ideas for digital interactions in the physical world. 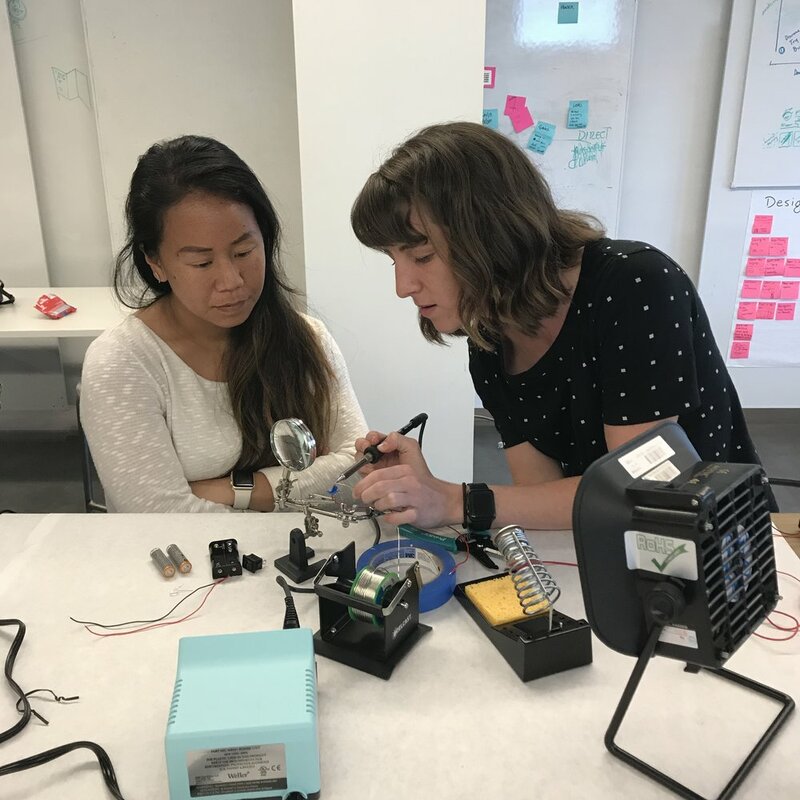 Hack Hours has offered a variety of workshops to teach everything from circuits basics to soldering and microcontroller programming. Paper circuits was a collaboration between myself and visual designer Zak Crapo. We wanted to create a really quick way to get anyone comfortable with creating a simple circuit. We designed screen printed posters for IBM studios visitors with instructions to create a circuit on the poster itself. We used this as a medium to introduce IBM global studio leaders to the maker culture at IBM Austin, and had many requests to send kits to their home studios. 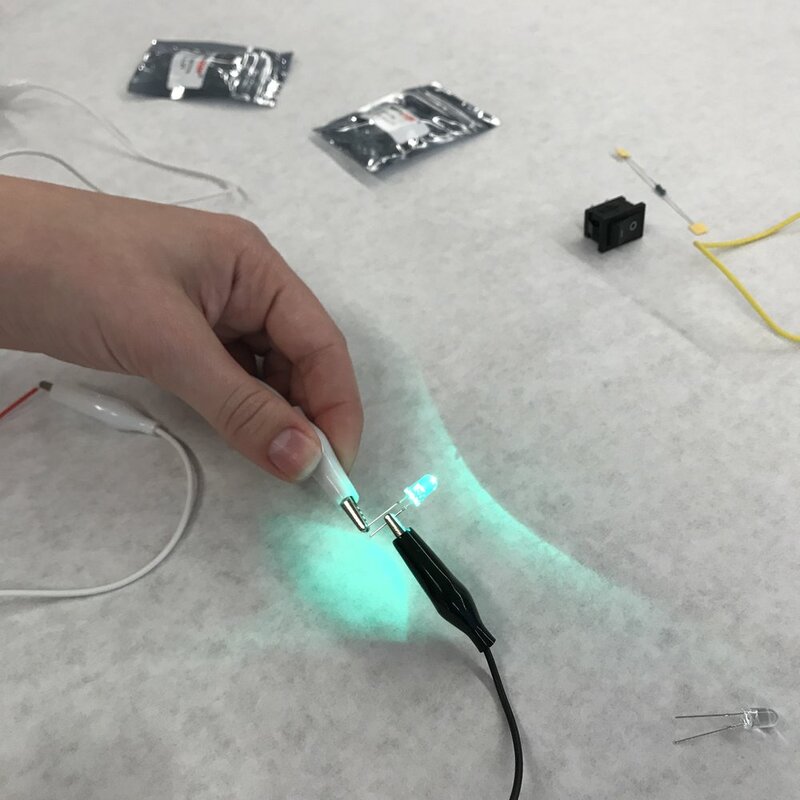 As a collaboration with Spare Time, another maker group at IBM, Hack Hours hosted a simple circuits workshop. Attendees made their own lamps using paper, LED's, wire, batteries, and a switch. I also introduced soldering as an optional activity, so everyone could keep their lamp intact when they took it home.